Anthony Hawkins will be leading this outreach to our neighboring communities on Sunday, Sept. 23rd, immediately after our morning service. 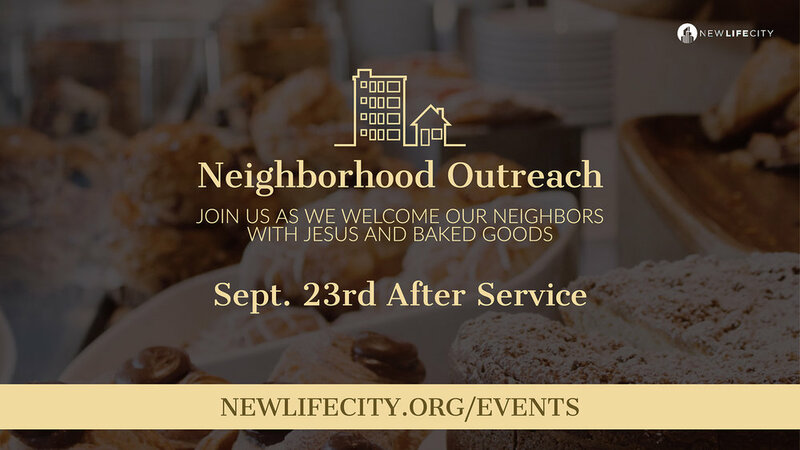 Join Anthony and others as they visit the apartments and neighborhoods around New Life City to share about Jesus, share about us as a church family, and to give baked goods away. We need volunteers to bake and volunteers to visit these homes. Contact Anthony Hawkins to volunteer for one or both of these opportunities.